2Gb B-die DDR3 SDRAM Specification K4B2G1646B By Samsung Semiconductor, Inc. 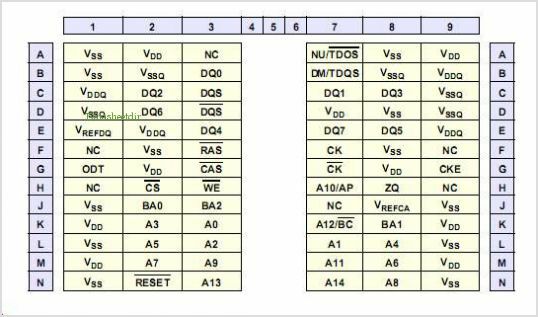 This is one package pinout of K4B2G1646B,If you need more pinouts please download K4B2G1646B's pdf datasheet. K4B2G1646B circuits will be updated soon..., now you can download the pdf datasheet to check the circuits!